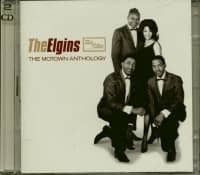 Too often overlooked in the ranks of Motown vocal group royalty, The Elgins posted a brief but impressive run of 1966 hits thanks to the prolific writing team of Brian and Eddie Holland and Lamont Dozier. Originally known as The Five Emeralds, the group made two singles for the tiny local S-R-C logo. As The Downbeats, they backed ex-Midnighters bass singer Sonny Woods on a 1957 single for Houston-based Peacock Records, Let's Go Steady, and encored in '59 by covering You're So Fine, then starting to break big for their fellow Detroiters, The Falcons. 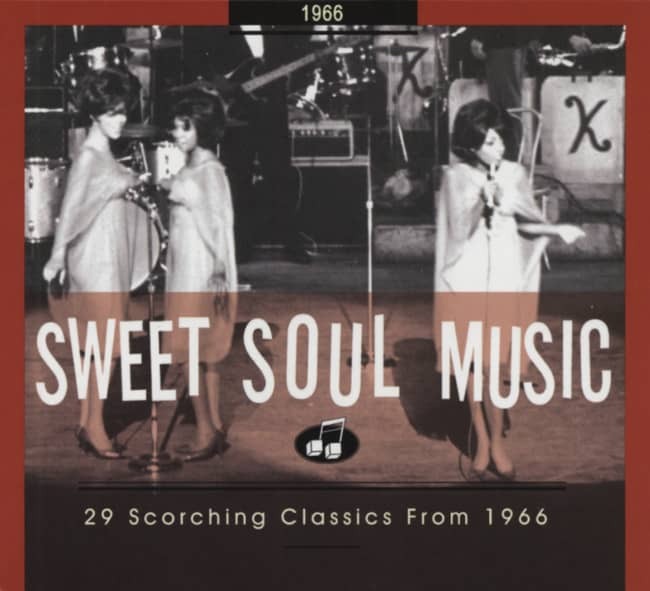 When The Downbeats signed with Berry Gordy's Tamla label in 1961, they consisted of Robert Fleming, Johnny Dawson, Cleotha 'Duke' Miller, and Tommy Salisbury. One single came out the next year pairing Your Baby's Back and Request Of A Fool. Meanwhile, young chanteuse Saundra Mallett cut her '62 Tamla debut single pairing Camel Walk and It's Gonna Be Hard Times with The Vandellas backing her vocally. Like The Downbeats' 45, it sank like a stone. Going by her married surname of Edwards, she was paired with Dawson, Miller, and Fleming by Motown. 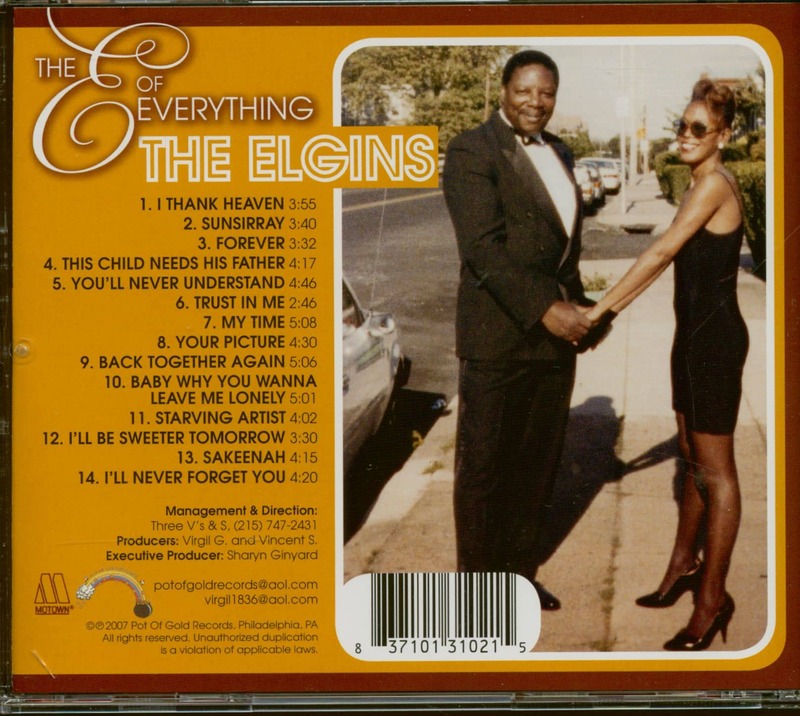 They were renamed The Elgins because Dawson favored that brand of wristwatch. Brian Holland remembers it a little differently. 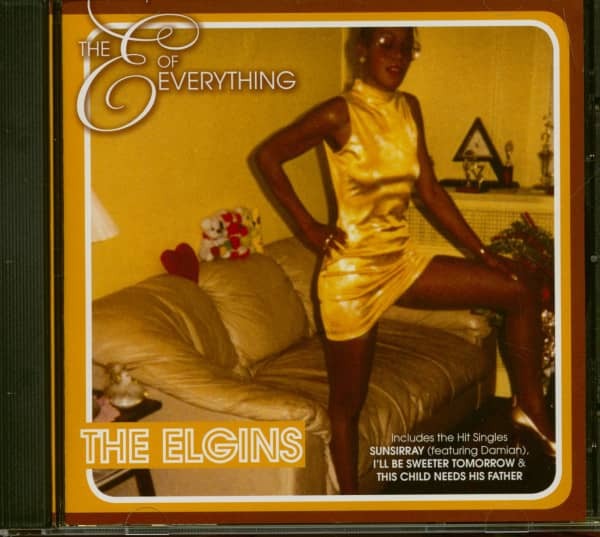 "A guy named Johnny who was in The Elgins,” says Brian, "he used to drive for my brother and I. He said, 'You ought to do a song on my group, man! '” So strong was Put Yourself In My Place that it was originally designated the plug side of their first V.I.P. single. But it was the doo-woppish Darling Baby that climbed the R&B charts all the way up to #4, though it only made a #72 pop impact. Edwards was just as captivating later in the year on The Elgins' brisk seller Heaven Must Have Sent You, another H-D-H-generated gem. After a minor '67 hit, It's Been A Long Long Time, the group broke up. But when Heaven Must Have Sent You unexpectedly became a huge British hit in 1971, The Elgins reformed with Yvonne Allen replacing Edwards and Norman McClain taking over for Fleming. A reissue of Put Yourself In My Place subsequently did well across the pond, but not enough to rejuvenate their Motown recording career stateside. Customer evaluation for "The E Of Everything (CD)"